PORT OF SPAIN - There were reports of roofs being blown off, fallen trees and power lines, and flooding in some parts of Trinidad and Tobago and Grenada as Tropical Storm Bret passed overnight, before moving along the northeastern coast of South America. There were no reports of any injuries or fatalities, according to information coming from the Office of Disaster Preparedness and Management (ODPM) in Trinidad and Tobago. Schools and some private sector operations remain closed today, as the country cleans up following Bret’s passage. 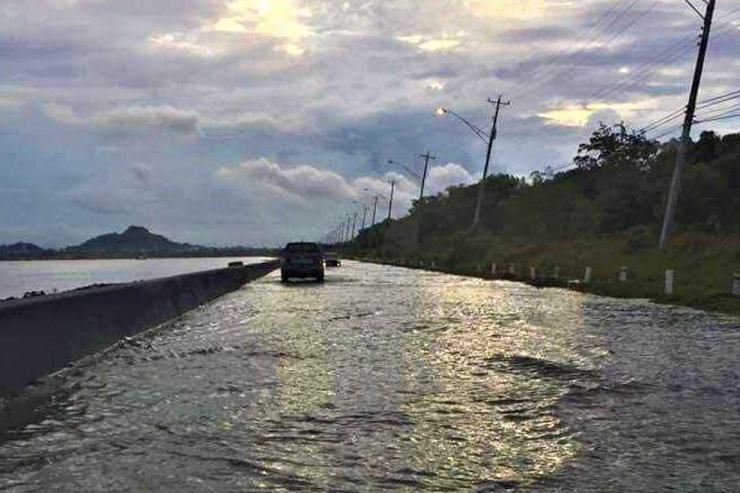 In Grenada, Director of Operations at the National Emergency Operations Centre Kemron DuFont said more rains were expected throughout the day but work and school should resume as normal today. “We had very little damage. You had some trees that fell on power lines and in some areas there is no electricity. But more or less, the impact was very, very minimal,” he said, adding that there was some minimal storm impact in neighbouring islands as well, based as preliminary assessments. Forecasters say the storm, the first since the June 1 official start of the Atlantic hurricane season – following on the heels of the out-of-season Tropical Storm Arlene which formed over the central Atlantic Ocean in April – will be nothing more than a depression by tomorrow. But not before producing up to four inches of rain over the Windward Islands and the northeastern coast of Venezuela through today. By 8 a.m., Bret, carrying maximum sustained winds near 45 miles per hour, was about 20 miles east northeast of Isla Margarita in Venezuela and expected to continue its journey into the southeastern Caribbean Sea. “Little change in strength is forecast today, and a weakening trend is expected to begin later today and Bret is forecast to become a tropical depression on Wednesday,” the National Hurricane Centre (NHC) in Miami said. Tropical storm watches remain in effect for Aruba, Bonaire and Curacao. The only tropical warning that remains in effect is for Venezuela from Pedernales to Cumana including Isla de Margarita. “Tropical storm conditions will occur over portions of the warning area for the next several hours, but these conditions should subside later today,” the NHC said.